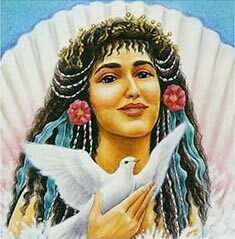 Aphrodite (pronounced a-fro-dye'tee) was an ancient Mediterranean Mother Goddess. It was as if everyone recognized that Aphrodite had one gift and one gift only . . . to make love. And that one gift was so special that no one seemed to resent it. While all the other gods and goddesses had lengthy lists of divine duties to perform, the goddess Aphrodite was assigned only one . . . to bring love into the world. all the places and the union plays rhapsodies in my soul. I can achieve union when I achieve oneness with myself. I can dance partnership when I can dance alone. I can love another when I love myself. Although they may have been envious of her beauty and her exciting but easy life, other women weren’t usually jealous or resentful of her charms. Although none were what could be called really close friends, they found her to be quite friendly and extraordinarily generous. She even went to the extent of loaning Hera her magic girdle to help her keep Zeus’ wandering eyes where they belonged. The goddess Aphrodite was always ready to help both the deities and mortals to win the loves they sought. The Greeks say she was born of the union of the sky and the fertile sea womb. 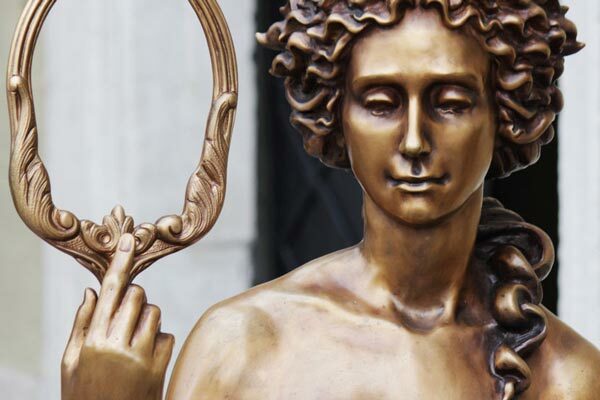 When she arrived at Olympus, Zeus married her to Hepaestus, the lame God of smithcraft. He made a lot of beautiful jewelry for her, but in the end, it was the passionate Ares, God of War, that she preferred to be with. Scallop shell, seashells, mirrors, golden apples, the Evening Star (planet Venus), Number 5, the ocean, and the triangle. Pearls, Gold, Aquamarine, Rose Quartz, Jade, Sapphire, Silver, and Copper.